personal and professional dilemmas or challenges. As we move through life, we will encounter bigger and smaller dilemmas and challenges; and it isn’t always that easy to know what’s best for us when we need to make a choice or decision when faced with those. 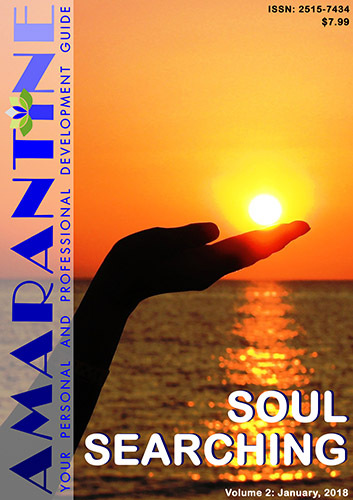 This issue of Amarantine will help you understand how you can come up with the right answers with the help of Soul Searching and why those answers won’t be wrong. This issue will inspire you to find your answers!